It's another snow day here in Iowa; a good day to get caught up. With all the bitter cold weather we've heated up the kitchen a time or two with some great recipes. German Pancakes ~ delicious, a good mix between a regular old pancake and a French crepe. We covered ours with berries, syrup, and a little dusting of powdered sugar. Groovy Girl and I made it, baked it, and ate it in short order. Rhubarb Pound Cake ~ I made this for a small birthday gathering for our new minister's wife. Baking is not always easy for me as you have to follow the directions perfectly. Unlike making dinner where a little of this and a little of that can work even with changing out key ingredients; baking not so much. 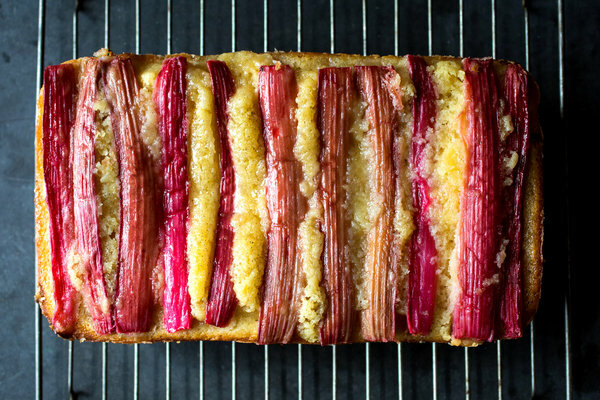 I had rhubarb in my freezer so right away that changed the recipe and how it baked but really it turned out...better than expected! I will definitely make this again, maybe even in the summer time when I can use fresh rhubarb. 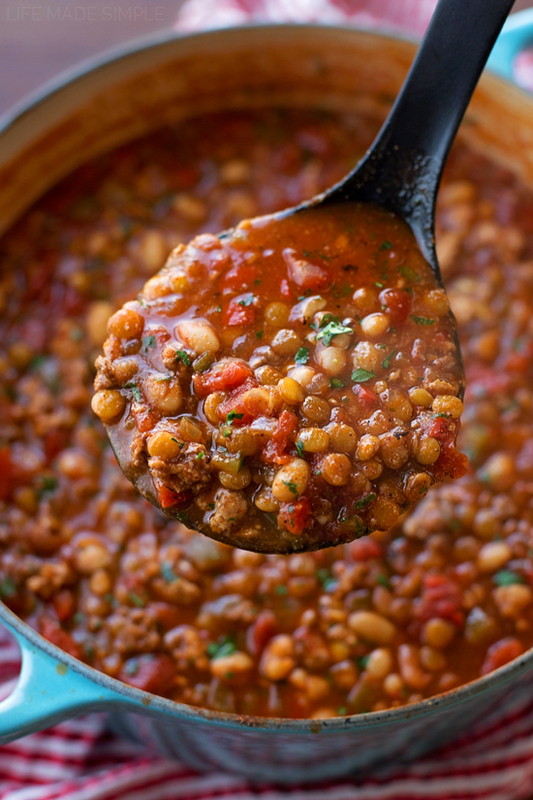 Lentil white bean Chili ~ By the way it has been a very cold winter so my slow cooker is living on my countertop. I whipped this chili up last weekend to keep us warm. I specifically looked for a chili that had lentils and bless the internet this one popped up. This was a delicious recipe with lots of flavor ~ I opted to make this meatless and it was still great! My family, used to eating many meatless meals, didn't feel like anything was missing. 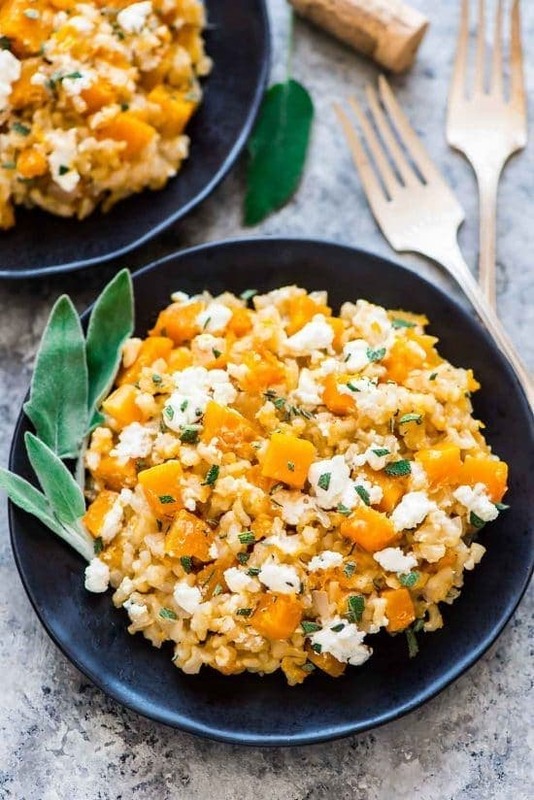 Brown Rice Risotto ~ I made this for book club because I wanted something new and different for a beautiful butternut squash I had. I would make this again but I would alter it a bit by roasting the squash first and adding it in after the rice has cooked through. The squash was pretty flavorless after soaking with the rice. I'd also add in more goat cheese. I got up early this morning, even though it was a snow day for us, because it was the BIG American Library Association award announcements at 8am (Pacific time) only to realize that meant 10 am our time. I curled up and went back to sleep for a little bit before watching the official webcast live. I always just look at the announcements after because it takes place while I'm teaching so this was a treat. I was happy to note that I had quite a few of the award titles already and will order the few that I don't have over the next few weeks. Good books, good food - this is how we survive winter. Plus a roaring fire helps.